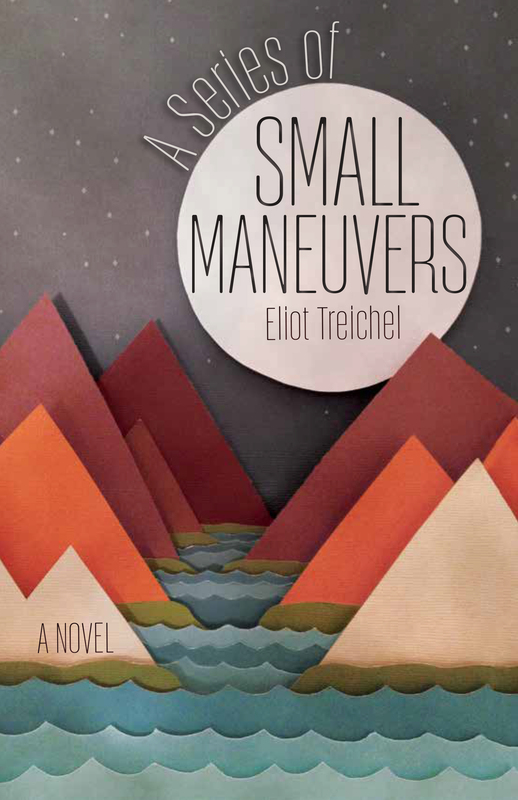 A Series of Small Maneuvers (Ooligan Press, 2015) by Eliot Treichel is an exquisite debut novel about a father/daughter river trip gone horribly wrong. Classified as young adult due to the age of the protagonist, this book is entirely relevant for readers of all ages. I'd go so far as to say it's one of the best books I've read this year, in any genre. 15-year-old Emma has outgrown her father's "bonding" excursions. She longs to be anywhere else. She tires of the way her father turns any question into a lesson, forcing her to figure out her own answer. Once Emma's father is gone, via an accident for which she blames herself, what saves this girl is everything she remembers from years of river trips with him, from the very same, repetitive lessons that earlier annoyed her. As Emma sets about finding her way out of the wilderness alone, we hear her father in her thoughts, her instincts and decisions. "I'd told myself I was just going to go and not look back. With all the water inside, the boat was even heavier than before. 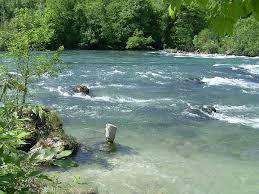 Unsteadily, I took a sweep stroke and turned so I was facing upstream. 'Stay out of trouble,' I said. It's what he said to me every time I stayed home alone. 'I'll try,' I always answered back. 'Try hard enough,' he'd say. I started bailing. 'I will.'" "The tarantula's body was only about an inch wide, but with its legs spread out, the spider was nearly as big as the mouth of a coffee mug. I got up on my feet and wiped my palms on my shorts. The spider took cautious steps across the back of my father's hand. 'Just hold your hand nice and flat,' he said. The tarantula paused for a second, testing with one of its legs, and then walked onto my palm. It weighed less than a cough drop. It stopped and bunched itself together and from overhead it looked like a delicate black flower, each leg a petal. When it started walking again, I let it crawl from hand to hand, a long steady journey to nowhere." Even though Emma's father is only alive in the first few pages of the book, the tender portrait Treichel provides, through Emma's eyes, makes us love this man and mourn his death. 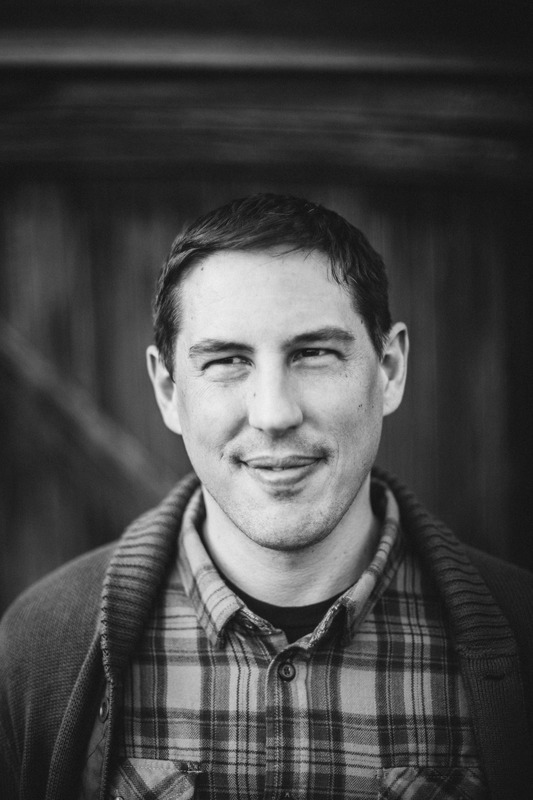 "During the last Olympics, my dad let me stay up late to watch the whitewater stuff with him. The kayaking and canoeing didn't air till the middle of the night, not until all the swimming and gynmastics and track and field events were over, unless you had cable or satellite and a DVR or whatever--then you could just watch it whenever you wanted. We never had those things. While we were waiting, my dad made paper flags for each of us. He sat at the kitchen table and drank beers as he worked. He stapled computer paper to some barbecue skewers, colored the stars and stripes with the dried-out markers from the junk drawer. When it was almost time for the whitewater events, he made me go tell Mom, even though she was sleeping. He gave her a big smile and a flag when she came downstairs. He chanted 'USA! USA!' and tried to get her to fist-pump the air. Mom zombied across the living room, her eyes barely open, but she gave a couple of waves to the flag, which made him happy. Five minutes later, the first paddler barely under way, she was asleep in the recliner. Dad gave her a couple of pokes, but then he just adjusted the flag so that it stood in the crook of her elbow and let her be." Treichel's treatment of grief is so subtle. In one scene, Emma and her little sister Andrea are looking through a notebook in which all the family members have done some drawings. "'Do you recognize Dad's?' I smiled for her when I said it. Her eyes scanned the drawings. I shouldn't have even been bringing him up. I wanted to ask her if she understood how there weren't going to be any more of these, that these were the last of Dad's bear-robot-crocodile creatures, and that this is what it meant for something to be rare, or precious or endangered--words that Dad was hitting us with all the time. I wanted to ask if she understood, because I wasn't sure I actually understood it myself. I took the notebook away from her. I'd thought maybe by just looking at the pictures, we could somehow talk about him without actually having to speak, which was silly to think." Treichel's agility, writing from the point-of-view of a teenage girl, is remarkable. After reading his short story collection a couple of years ago, and then this novel, I wonder if there's anything this writer can't do.